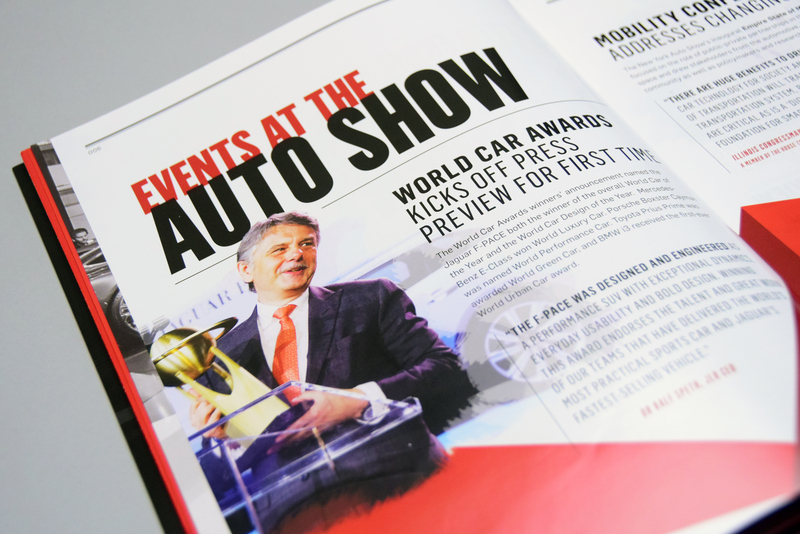 As the country’s oldest and most prestigious car tradeshow, the New York International Auto Show’s marketing materials must reflect the glamour, style and innovation that sets this event apart. 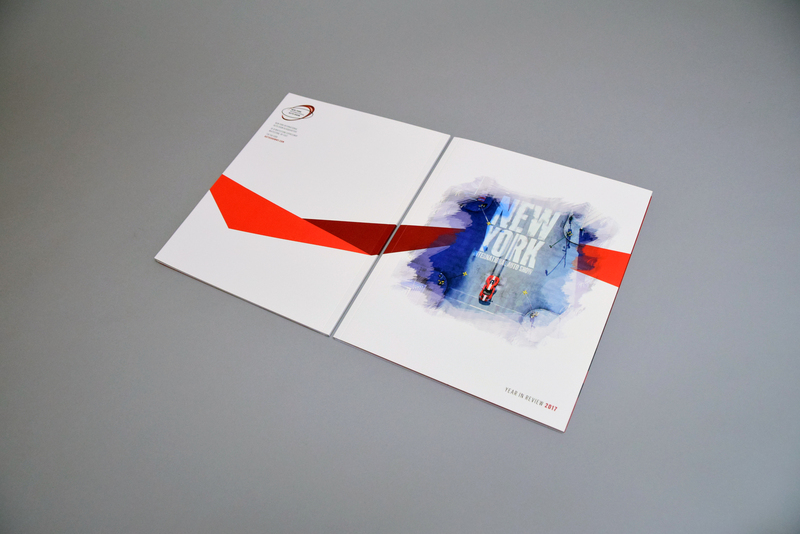 The Annual Review is an essential tool with which to entice manufacturers to take part in next year’s edition; after the success of our award-winning Annual Review in 2016, this year we moved up a gear by creating a sleek, streamlined report to reflect the excitement and dynamism of the New York show. The spot varnish front cover (incorporating artwork modified from the show poster) opened into a closed gatefold, which opened in each direction to reveal a four-panel spread across two different paper stocks (cover and text). 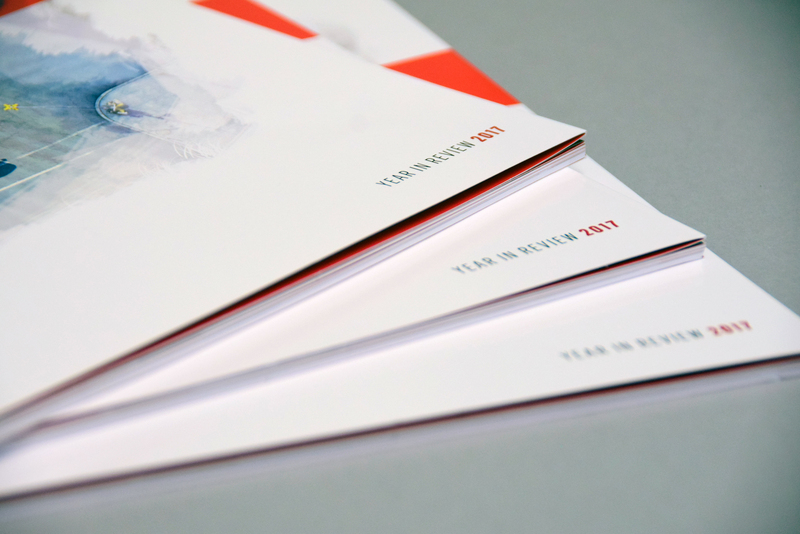 The open gatefold served as an overview of the 2017 show’s success and events, as well as preview of some of the report’s contents. 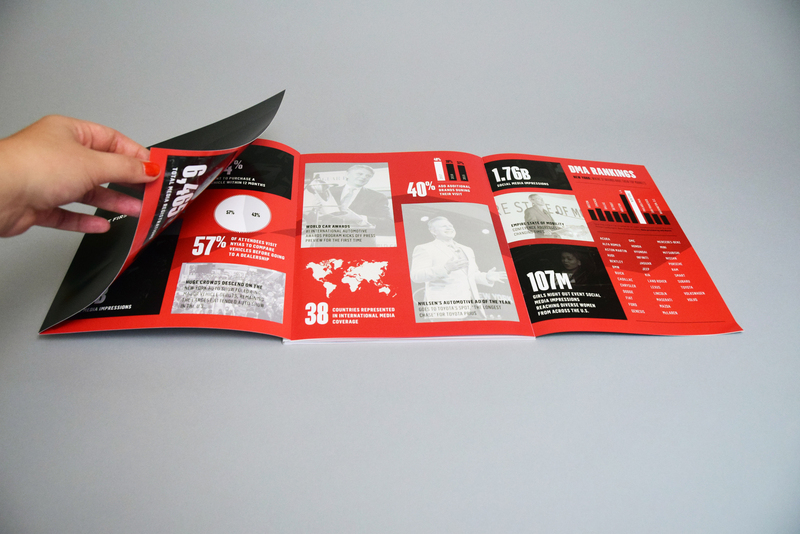 Inside, the cover’s red ribbon device was employed across spreads to divide images from text. 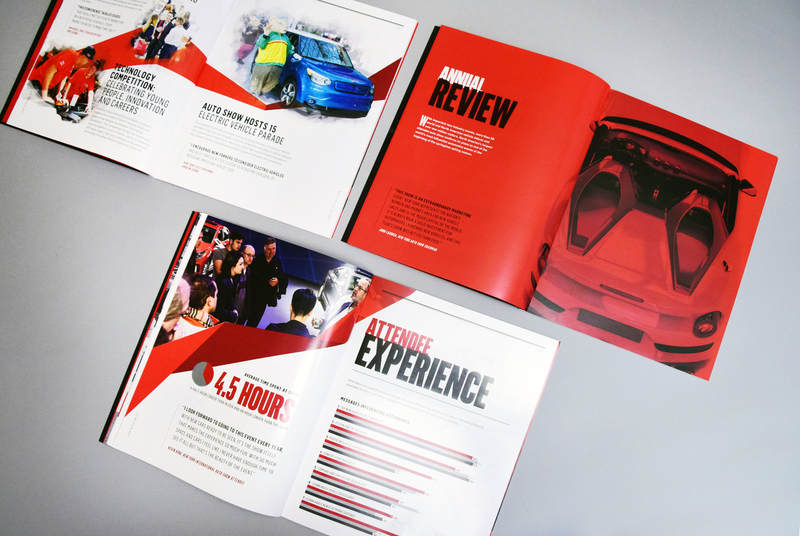 The main content of the report combined bold headlines, breathtaking photography with detailed statistics explaining every facet of the show’s appeal, influence and impact.